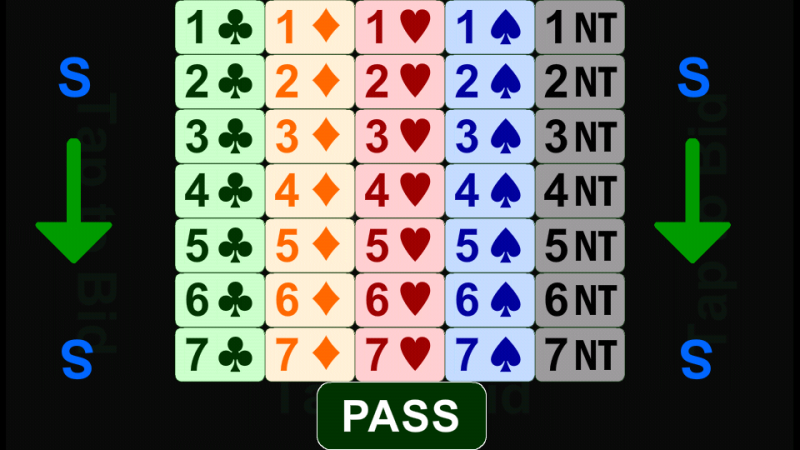 The Bridge Bidding Box app simulates any bridge bidding just as if it would have been made by regular bidding cards. 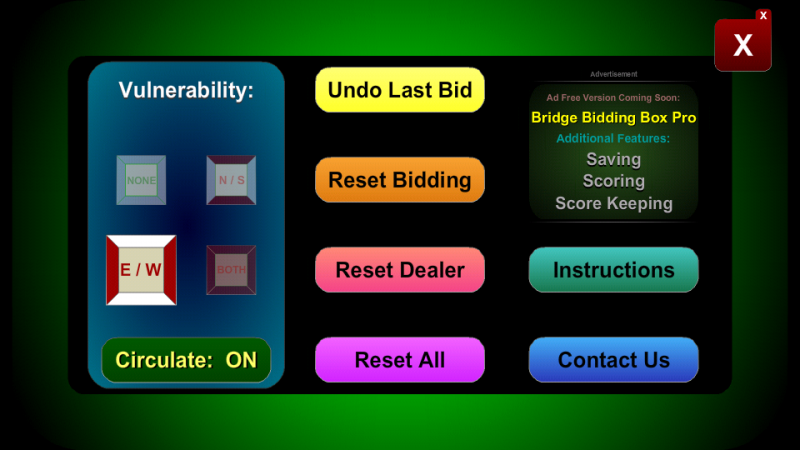 Place your device at the center of the table and let the app handle bidding, contract, vulerability, declarer, and lead. 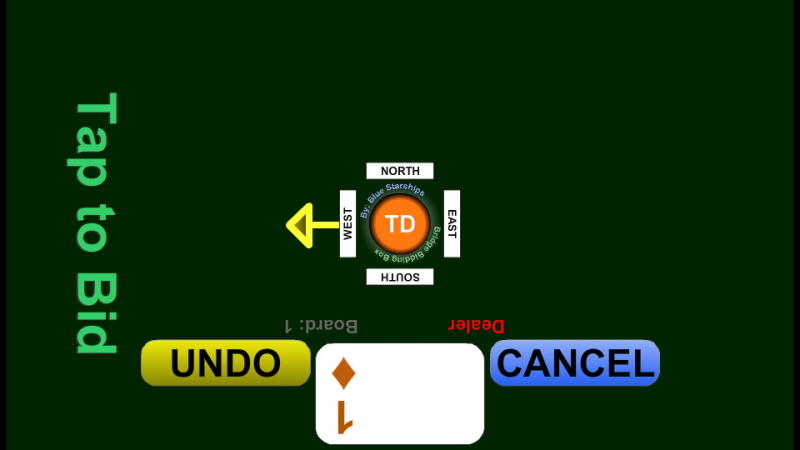 Perfect for the at home fun game or as a tool for going over bidding scenarios and conventions. Perfect for Beginners and Teachers! Works great on Mobile Phones, Tablets, and TV:s. Any display size is supported! 1. 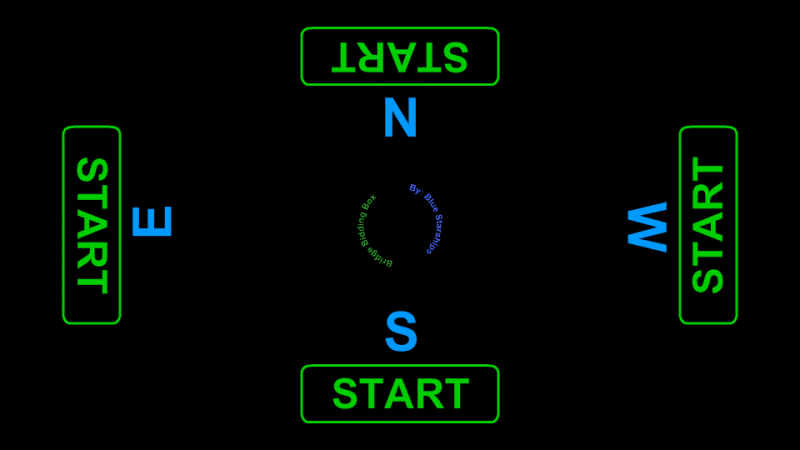 Select orientation by tapping the START button aligned to your　preferred　view/position. 2. 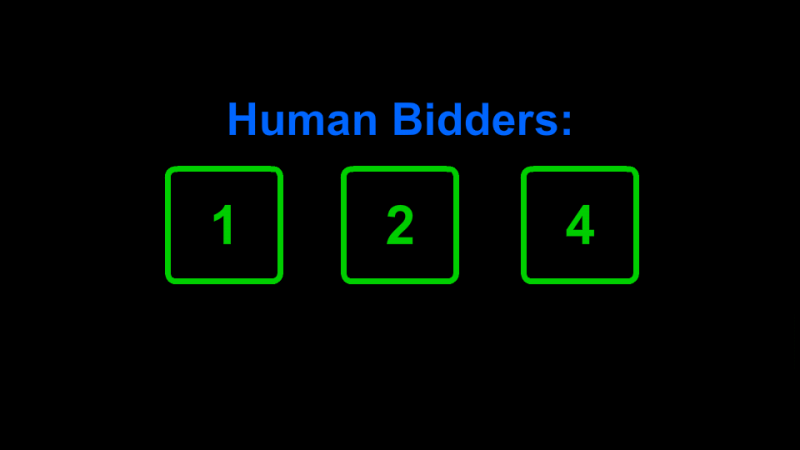 Select number of HUMAN bidders that will interact with the application. 3. 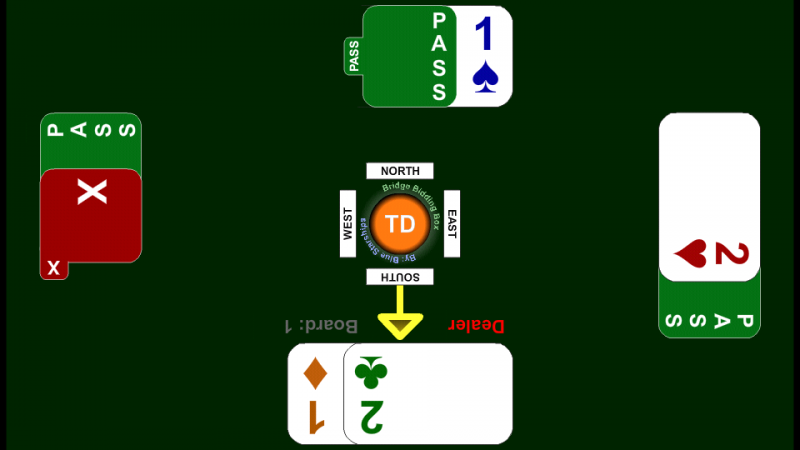 Anyone can start being the dealer. 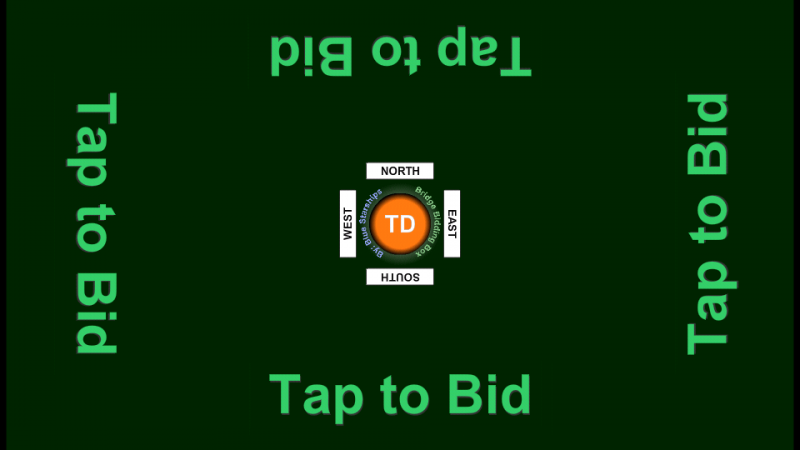 Tap the "Tap to Bid" to make a bid. 5. Bidding will end after 3 consecutive PASS bids. 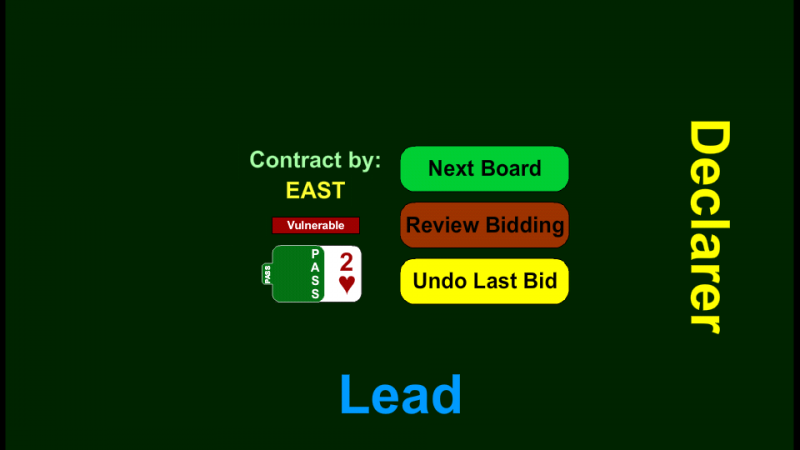 Bidding will now be hidden and only final contract and Declarer/Lead is displayed on the Next Board menu. 6. 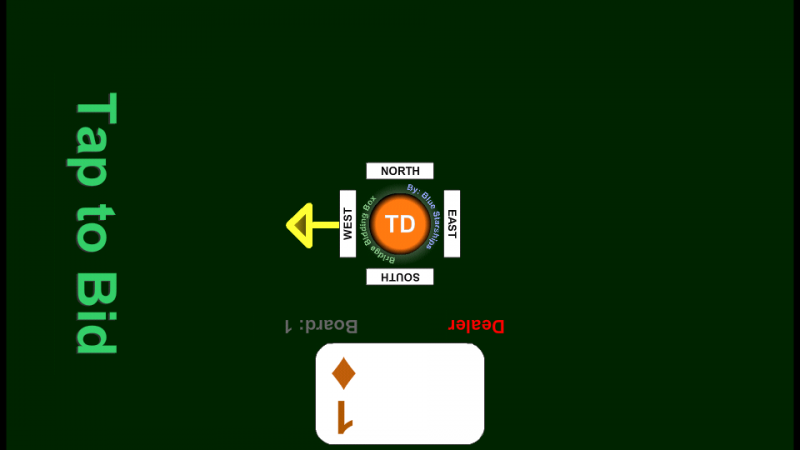 After playing the board, tap "Next Board" Vulnerability/Dealer is automatically set. 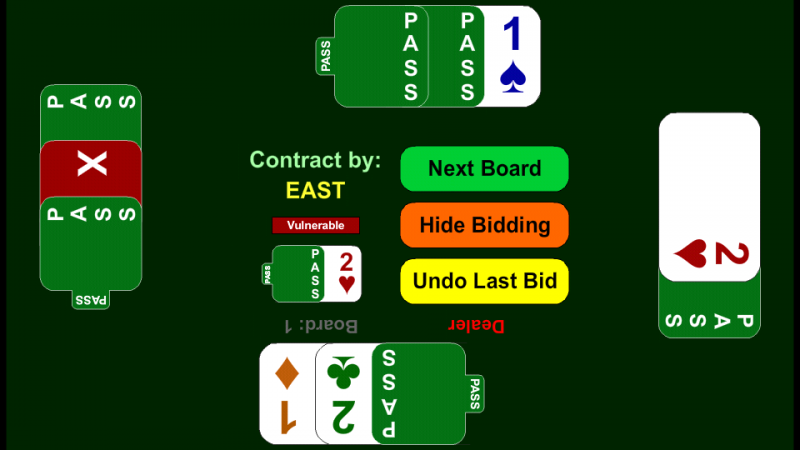 You will automatically reach this menu after 3 consecutive PASS bids. The bidding made can be reviewed by the "Review Bidding" button. Bidding can again be hidden by the "Hide Bidding" button. Last bid made can also be undone from here. This free application does not have access to your device's screen settings. Don't worry if the screen blacks out while you are playing the deal as it saves your battery. 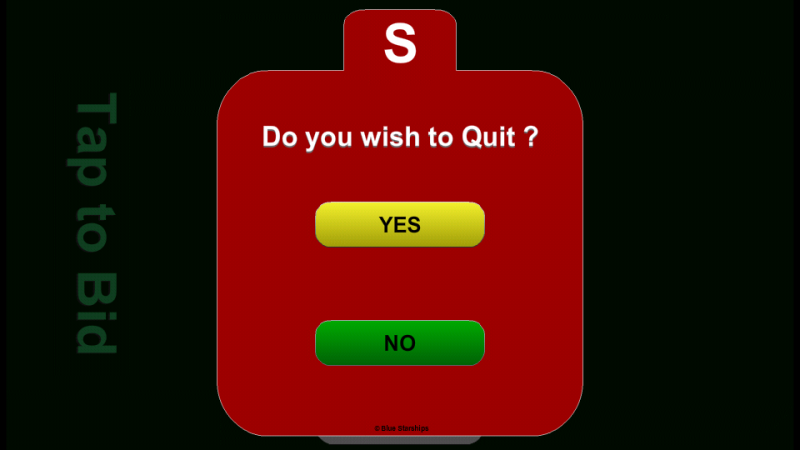 Once reactivated, this application will take you back just where you left off.